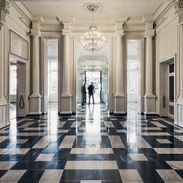 Are you an instagram- or amateur photographer, love urban exploring or already know Maastricht very well? Then this is the perfect tour for you! 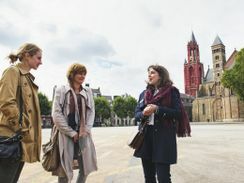 Set off with a local guide and explore possibly the most characterful and intriguing part of Maastricht. It is certainly the least explored area - quiet and a great place to live. The main theme of this tour is urban development. Not the theory of it, but the experience: industrial areas, the working-class neighbourhoods, and cloisters and ramparts; beautiful vistas and intriguing spots, from charming to fantastical. In short, the tour offers a very different view of Maastricht, in areas that are well worth exploring and photographing. On the way, the tour will stop at a secret, hidden place where you can enjoy a drink. Make sure you wear comfortable walking shoes as this is a longer tour that will take place at a comfortable but vigorous pace. Therefore this tour is not suitable for people in wheelchairs or those who cannot walk very well.